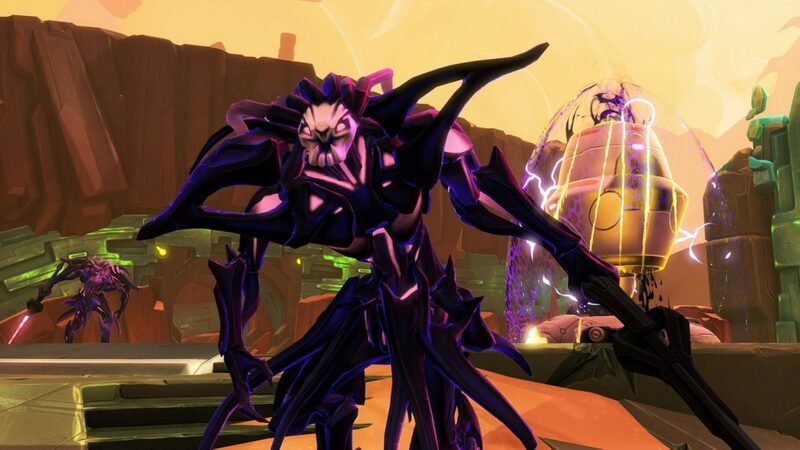 There are no more content drops or updates planned for Gearbox’s online shooter Battleborn. Creative director Randy Varnell has said he’s moving on to the next Gearbox project, all but confirmed as Borderlands 3, 15 months after Battleborn went live. The Fall update includes balance changes and art updates as well as new skins. “Battleborn is here to stay. Nothing is changing with Battleborn, and the servers will be up and active for the foreseeable future,” said Varnell. Varnell has worked on Battleborn since 2012, and confirmed he’s staying with Gearbox and shifting on to the project that everyone assumes is Borderlands 3. The studio has previously stated that once Battleborn is finished, a new Borderlands is next on the list from Gearbox.